A light maintenance depot has opened in Blackburn as part of the ‘Great North Rail Project’ and has created 26 new jobs. The multi-million pound King Street Depot maintenance hub is part of a major investment in the borough which will also see rail operator Northern Rail move 70 train crew into the One Cathedral Square office block. 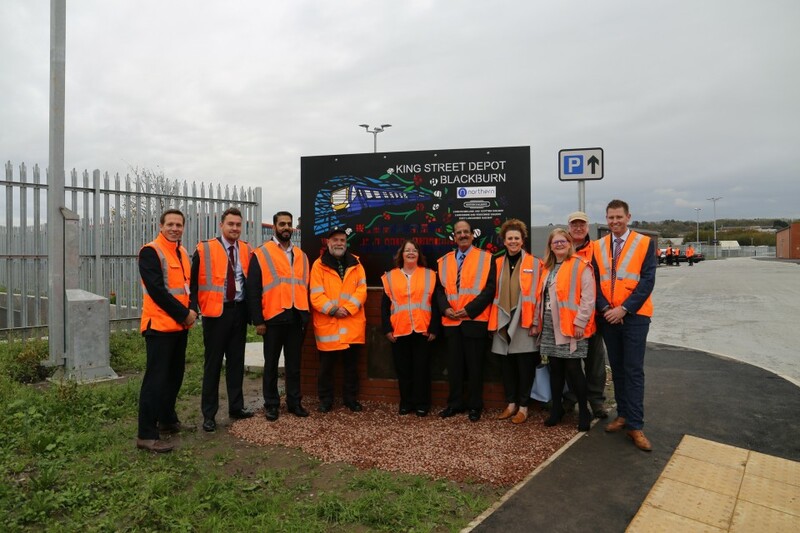 The depot was officially opened by Parliamentary Under Secretary of State (Department for Transport), Paul Maynard MP, the junior government minister responsible for rail matters. He was joined by Blackburn MP Kate Hollern, Councillor Mohammed Khan, Leader of Blackburn with Darwen Council, Denise Park, Deputy Chief Executive of the Council, and Northern Rail’s regional director Liam Sumpter. The depot, which was constructed by Network Rail, is a key part of the Great North Rail Project and will help maintain up to 30 Northern diesel trains. Work on the depot began in August 2016 and was completed in October 2017. It holds a six-track train stabling and maintenance building, train washing and fuelling equipment, as well as offices, and will maintain up to 30 diesel trains that will be permanently rerouted from their current Blackpool depot when the upgrade of the Preston to Blackpool North line starts from 11 November. This project has been delivered on time and on budget and lets us look after our growing fleet of trains in Blackburn. It is great to see the depot being unveiled, it looks really fantastic and it should be very good for the area.